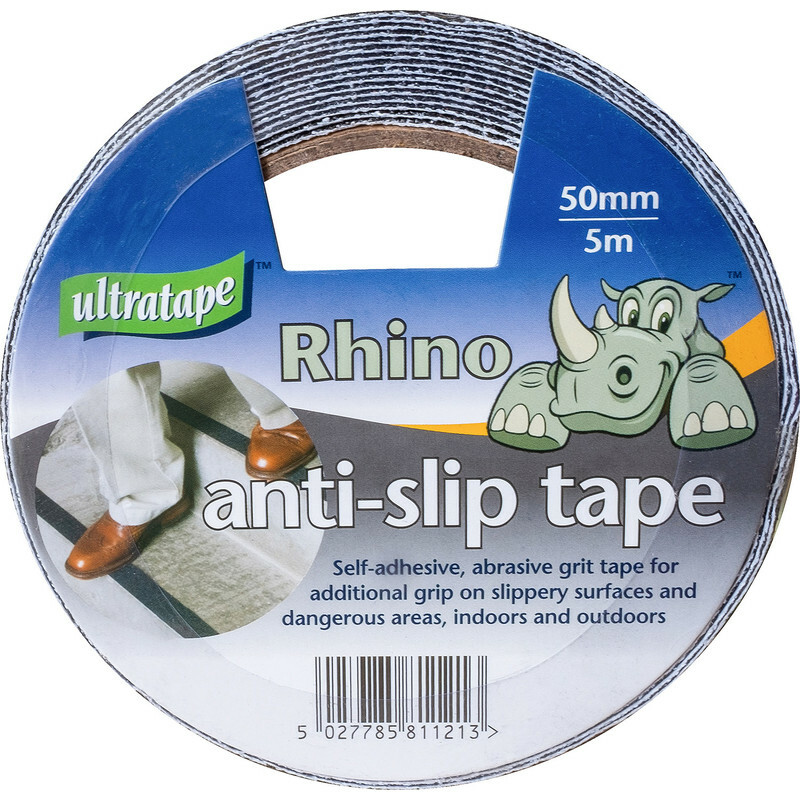 Self-adhesive slip resistant tape ideal for hazardous areas, such as steps and walkways. Black Anti Slip Tape 50mm x 5m is rated 4.3 out of 5 by 14. Rated 4 out of 5 by Nidgie from Good product Brought this to patch worn carpet on stairs in a busy office....I have to admit I was doubtful about its suitability but it stuck well and is very grippy.Its only been down a week but so far so good . Rated 4 out of 5 by clare from great Done the job. Stopped my pet rabbit slipping on wood. Sticks very well. Rated 5 out of 5 by Aldude13 from Get a grip. I purchased this a few weeks ago for a timber fire escape. Works well and does the job fine and looks good to. Rated 5 out of 5 by Racs from Great Item Dose what it says it does. Nice width 50mm but 5 meters is a bit short in length (dependent on the application requirement). I recommend buying an extra roll just in case you need it. You can always return the unused one if you don't end up use it.